Jamila still remembers the day when she became the victim of an inhuman local marriage custom in Harnai District of Balochistan; she was taken to her husband’s home screaming. Her marriage was neither for love nor an arranged one. She was given in “enmity,” to rescue her brothers from death. The dispute was ultimately settled between the two families, but Jamila’s humiliation in the process would continue until her last breath. 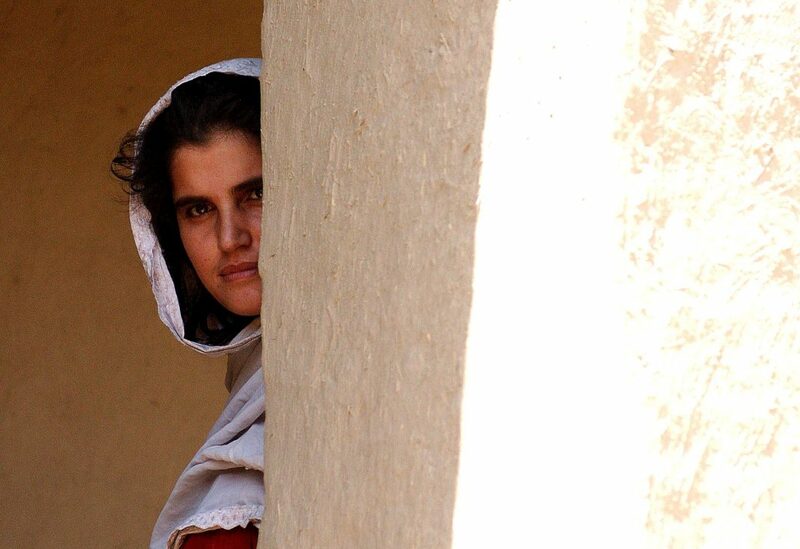 In 2009, Jamila’s brother fired a bullet and killed a villager over a land dispute. In order to settle the dispute, the elders of the area called a jirga that decided that Jamila, the sister of the accused, would be married to the deceased brother. She was given a punishment for a crime that she hadn’t committed. The victims suffer from this custom because they live in homes where everyone treats them like an enemy. They are like slaves and not treated like the human beings they are. “I suffer each day in my life, as I married the brother of the man my brother killed. The family looks at me as if I killed their brother and son,” the 29-year-old Jamila says. “I bear difficulties and endure slavery in order to protect men and it is the vital purpose of my life,” she explains. “They treat me as a slave; they beat me, taking revenge from me but I don’t have a right to speak against this ruthless behavior,” she added. Baad, also known as Baadi, meaning “enmity,” is an old custom designed to hand over girls for marriage as compensation for murders committed by brothers and family members. It is designed to end animosity between the parties with the establishment of a blood relationship between them. The custom is still prevalent today in rural areas of the Pashtun-populated districts of Balochistan. When someone kills a member of another local family or tribe in a fight, the elders of the area form a jirga to mediate the dispute. 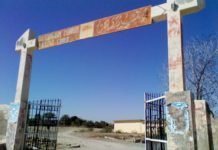 The jirga, a tribal court that consists only of the male members of the community, decides normally to force the young woman from the killer’s family to marry a man from the victim’s family, without her consent, to settle a dispute between two hostile clans and families. Women are compelled to sacrifice for their fathers, brothers, or even cousins for crime they haven’t committed so as to resolve the hostilities. As per custom, the women who get married by this tradition don’t have any right to divorce or separate from their new husbands. It depends on the women’s in-laws’ families: some families allow the victims to visit their families if they give birth to one or two children. But some are not allowed to see their own families ever. The victims face lots of difficulties every year, when families commemorate the anniversary of their dead family member—the one who’s death led to the baad. “I have to listen to bad language from the females and every one in the family degrades me especially on the death day,” she recounts. Although the custom appeases the clans and secures the lives of the male family members, once the women are married off, there is little chance of a happy life for her and she is taunted at every moment. She has to tolerate the brunt of a sin for the rest of her life committed by her male siblings and cousins. These women often don’t enjoy the rights of a married woman and remain stigmatized until their death. According to reports, victims have even committed suicide in order to escape their circumstances with their in-laws. Today, these traditions are against the family laws of Pakistan; tribal laws, however, allow it to persist, particularly in poor areas where people have little access to formal courts and continue to believe in the tribal justice system. Asia, a 23-year-old from the Ziarat District of Balochistan, became the victim of the baad marriage custom after her brother accidentally shot a man from another tribe over a business dispute in 2015. A conflict between the two tribes continued for two years. After the intervention of a jirga, both families agreed to end animosity providing that the accused sister marries with the elder and married brother of the deceased. “My uncle came to me and said ‘I am afraid that if I did not agree with your marriage, your brother would be killed’,” Asia shared. As women have little freedom in the tribal areas, most of them accept the elders’ decisions of marriage for the sake of their brothers’ lives, but, like Asia, few agree to be used as tools to resolve disputes as a result of their brothers’ faults. “I am ready to tolerate any other punishment and trouble, but I will not marry into our enemy’s home,” she said. “In case of a forced marriage, I will kill myself,” Asia added. “I had a good wish for my future. I wanted to strive against this custom and decrease the plight of victims but unluckily I became the victim of this custom myself,” she said. Now, she is uncertain about her future. Jirga members are divided on the tradition: some are against it, whereas others support it. Nawab Muhammad Ayaz Jogezai, the convener of the Pashtun National Council and a lawmaker in the Balochistan assembly who resolves major tribal disputes, says he has resolved 125 murder disputes in different parts of the province—especially in Pashtun districts until now he did not decide to give a single woman away under the baad practice. “There were difficulties from the families who lost their loved one demanding women, but I have argued continuously against this cruelty. Even I left arbitration in many decisions in which families were not ready to leave the demand of women,” he said. Since this tradition resolved deadly enmities and saved a number of lives among tribes for centuries, many elders and resident in the conservative areas defend it. 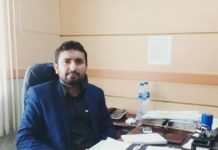 Hassan Lala, a jirga member from Ziarat district who often participates in judging cases that involve baad, says the animosities are common in the lives of tribes because of ignorance and intolerance; the custom is a good way to end them and bring peace to the families. “It helps to save two families, tribes from more murder and death because enmity between two hostile tribes usually ends with the building kinship between them,” said Lala. It is also a fact that there is no legal mechanism in the rural areas where the custom prevails to protect women from the barbaric practice of baad. Due to cultural taboos, women are also not able to knock the door of the court and most of the victims of this custom prefer to remain silent. The women’s rights activist and civil society groups denouncing baad marriages say the custom is violating women’s fundamental rights and that the government should make a strict law that guarantees the rights of individuals and crack down on the unkind practices. Victims’ names have been changed to protect their identities. The story has been developed by Hizbullah Khan, a freelance journalist focusing on war and cultural issues. His work has appeared in the Asia Times, Global Times, Gulf Times, News Deeplyand Dawn.